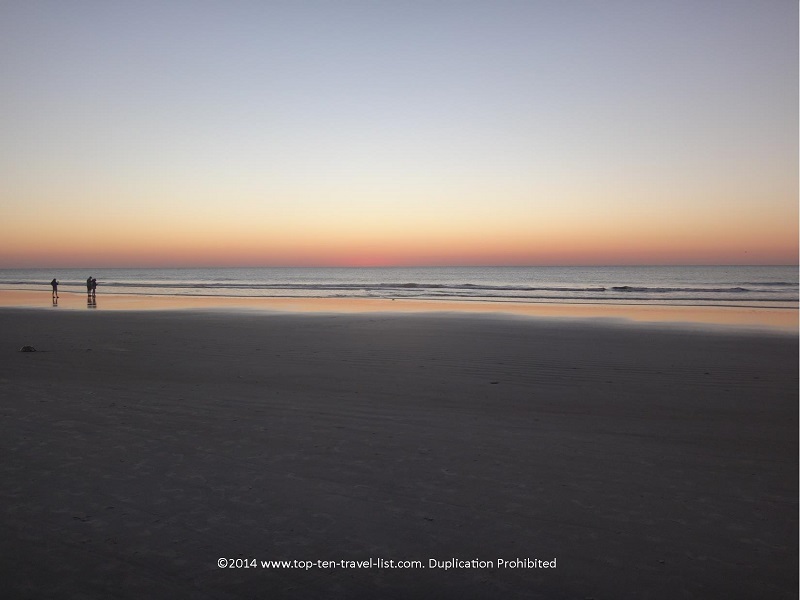 3 Days in Hilton Head Island, South Carolina - Top Ten Travel Blog | Our experiences traveling throughout the US. Hilton Head is world famous for being home to some of the best golf courses and tennis clubs in the world, in addition to miles and miles of wide, spotless sandy beaches. This coastal resort town is a popular vacation destination due to the the island’s 12 miles of pristine beaches, mild year round weather for all sorts of sport and beach activities, and the presence of many luxury oceanfront resorts. 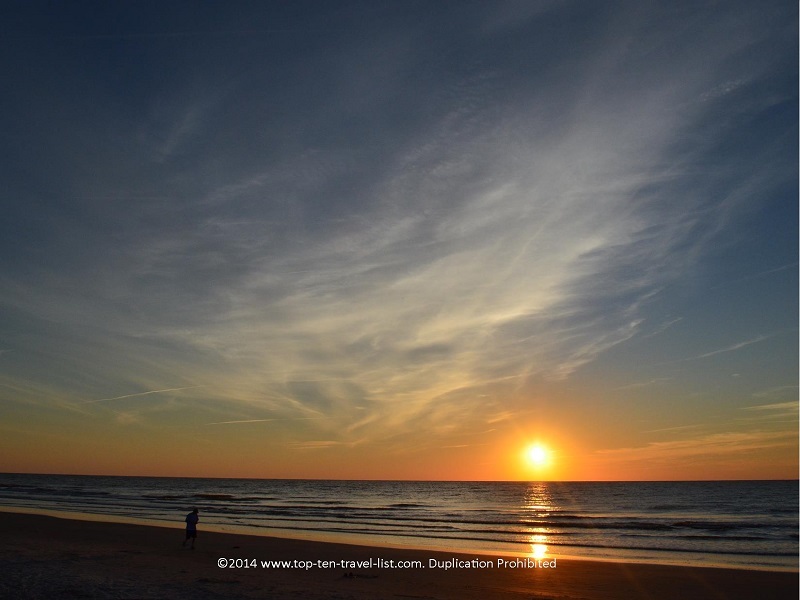 Hilton Head Island offers no shortage of activities for the sports enthusiast, beach goer, or anyone looking for a laid-back, relaxing vacation. No matter what time of the year you plan your vacation to Hilton Head, you will be treated to beautiful beaches, lush landscaping, and plenty of things to do. A vacation to the island would not be complete without staying at a fantastic resort. 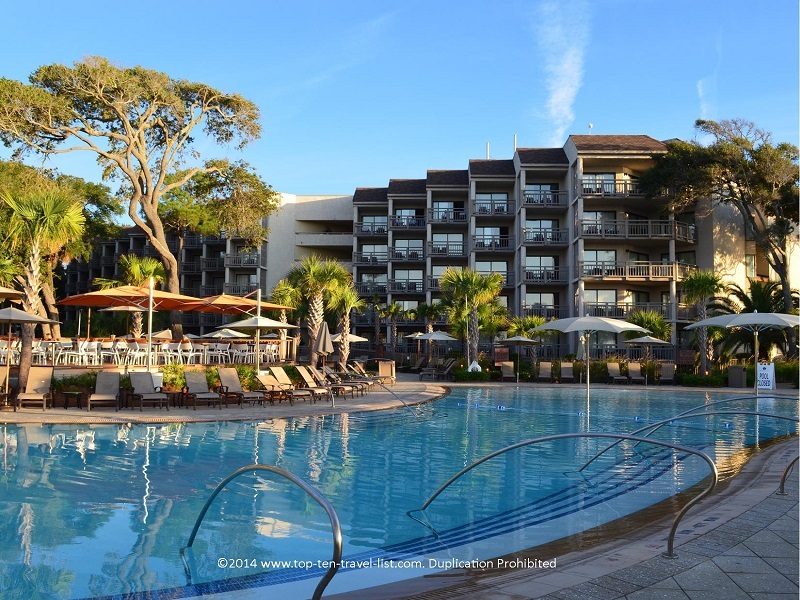 There are many great choices on the island, including Omni Hilton Head Oceanfront Resort and Sonesta. Both offer convenient access to the beach, great beachside pools, and luxury amenities. 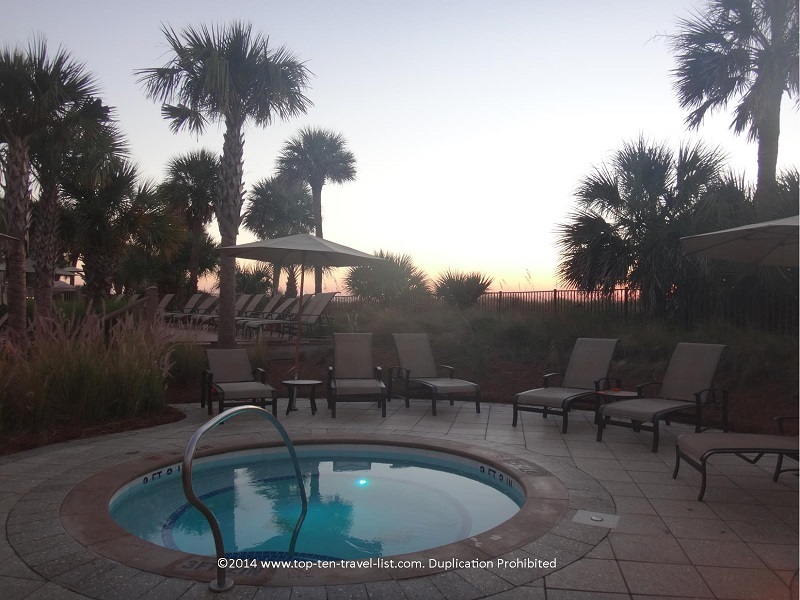 Below I have organized a sample itinerary for a 3 day stay in Hilton Head. 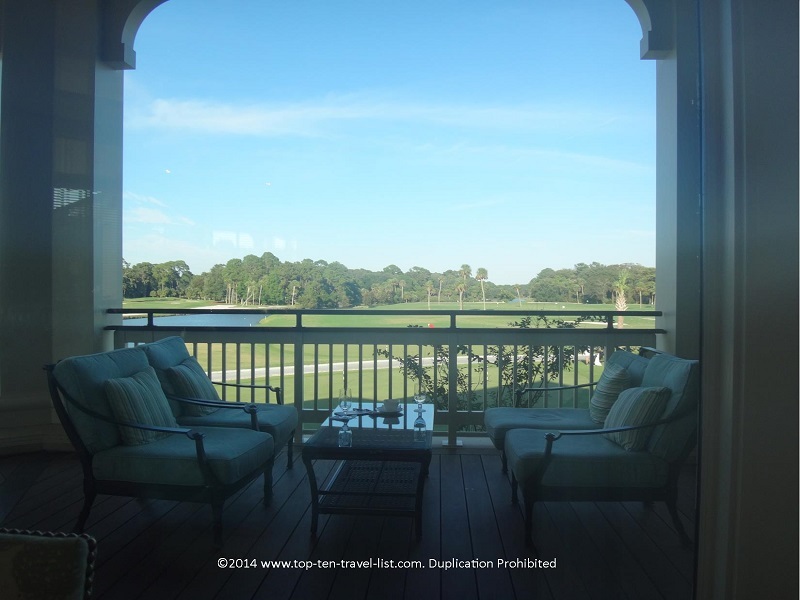 Leisure, entertainment, great dining, and recreation are all part of a fantastic Hilton Head vacation, and thus I have tried to incorporate a bit of each into the schedule. Enjoy the ideas and also feel free to add a few suggestions of your own into the comments below. 3:00pm – Check into your luxury 4 star oceanfront resort. 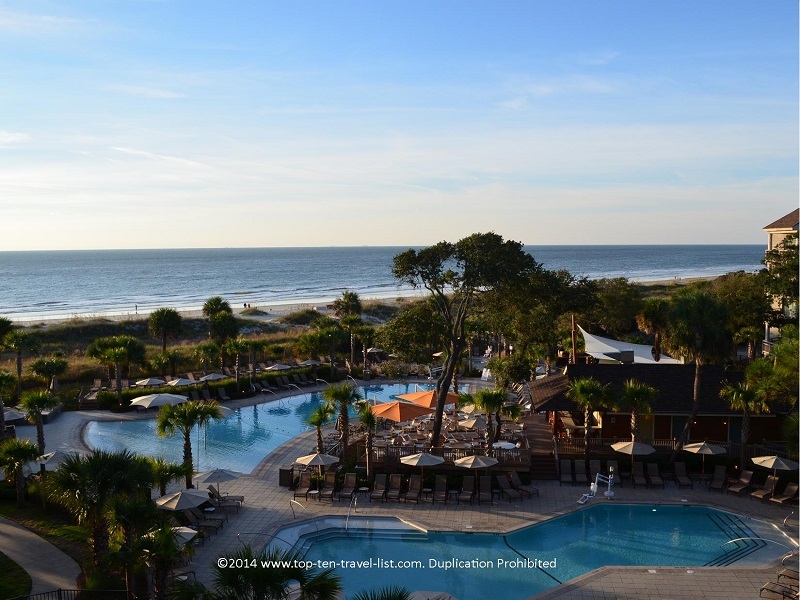 The Omni Hilton Head Oceanfront Resort is a gorgeously landscaped tropical oasis; the perfect place for a relaxing weekend getaway. Relaxation, entertainment, recreation…you have it all right on site at the Omni. 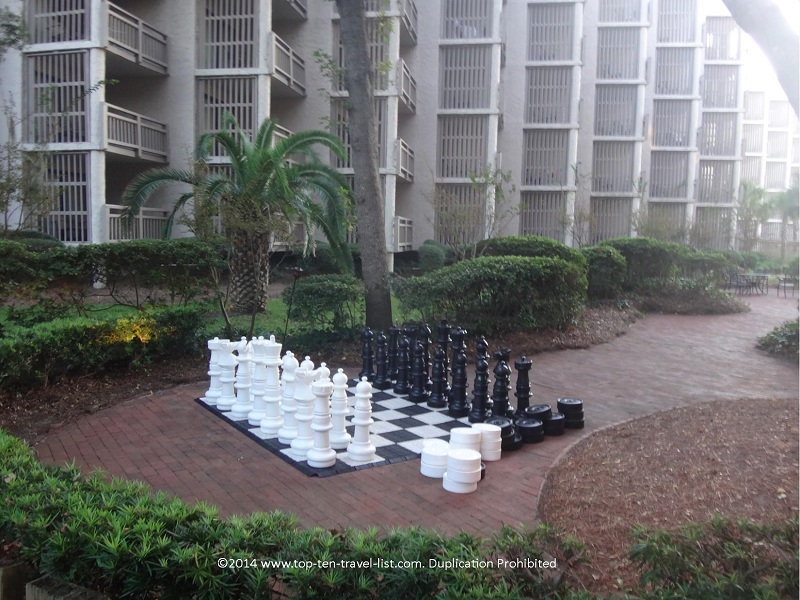 In addition to having access to the Palmetto Dunes golf and tennis courts, the resort has a basketball court, sand volleyball court, bean bags, and a life size chess game. If you are looking more in terms of relaxing, look no further than the beach! Located just steps away is Palmetto Dunes, a wide, sandy, immaculate beach with hard packed sand that is perfect for bike riding, jogging, or taking a leisurely stroll. If you prefer more of a resort setting, you can choose amongst the resort’s 3 pools. Outdoor firepits, live dinner music, an on site restaurant and coffeeshop, and a spa are some of the other amenities you will find. Rooms are large and include private balconies with views of the courtyard or beach. Groupon often offers special deals for the Omni, especially during the off-season. 5:00pm – Enjoy dinner sitting out on the patio of HH Prime, conveniently located on the resort property. During the dinner hour, you will be able to enjoy fantastic live music. Plus it’s all lit up and cozy with fireplaces during the cooler fall months. Great food and an accommodating staff that will cater to food allergies make it an ideal choice for all guests. 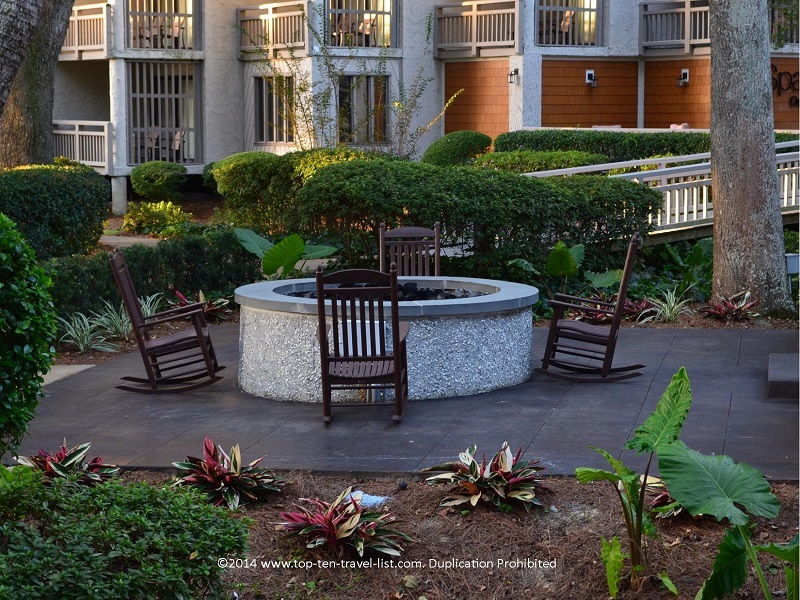 7:00pm – Enjoy a drink by one of the outdoor fire pits. In addition to a full bar, you also have a handy on-site Starbucks. 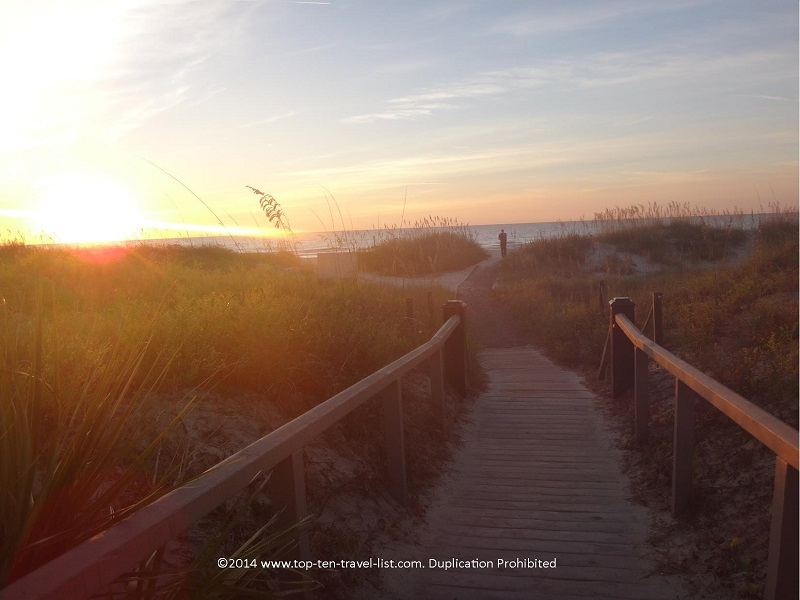 7:00am – Get up early and enjoy a beautiful sunrise on the beach. The views are absolutely spectacular and it would be a shame not to take advantage of the convenient access. A long stroll with a cup of tea or coffee is the perfect way to start a relaxing morning on vacation! 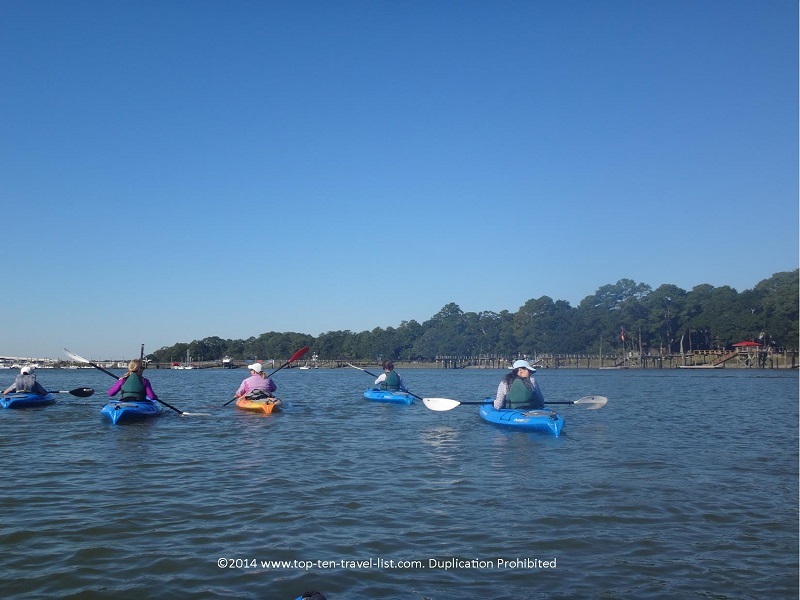 9:00am – Enjoy a 2 hour guided kayak tour from Hilton Head Kayak. This tour company offers scenic narrated tours on the still waters of Broad Creek. Opportunities for wildlife sightings (dolphins and manatee) give you something exciting to look forward to along the way. Peaceful views of the marsh make this one vacation activity you will not forget. Note: advance reservations are required. 11:00am– Enjoy a light lunch at A Low Country Backyard, a friendly Southern restaurant offering classic comfort foods along with modern GF options. 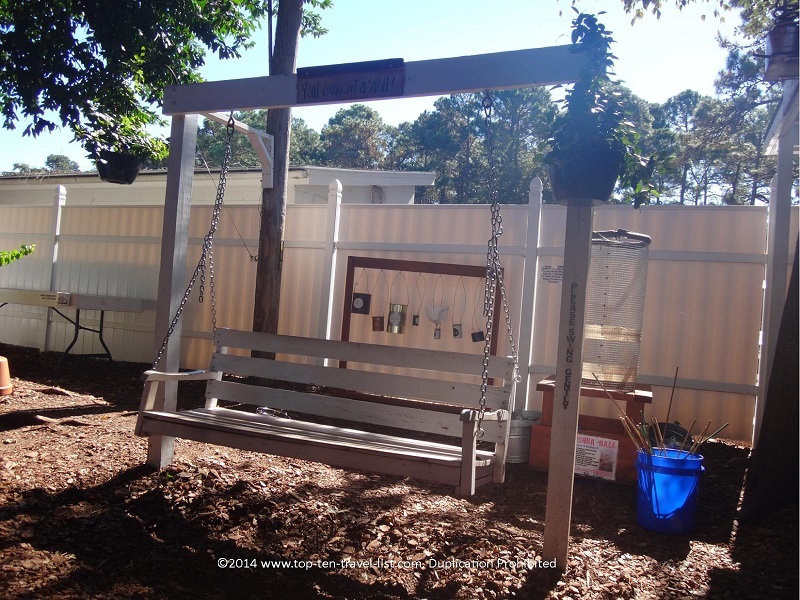 A cozy, country style outdoor seating area is perfect when the weather is right. 1:00pm – Head back to the Omni for a little R&R in the hotel’s pools and hot tubs. If you would rather relax down by the beach, you can rent an umbrella and chairs from the resort. Kayaking is fun, although you still get in a decent workout, so take some time to relax! Enjoy some poolside service from the Buoy Bar (you are on vacation!). 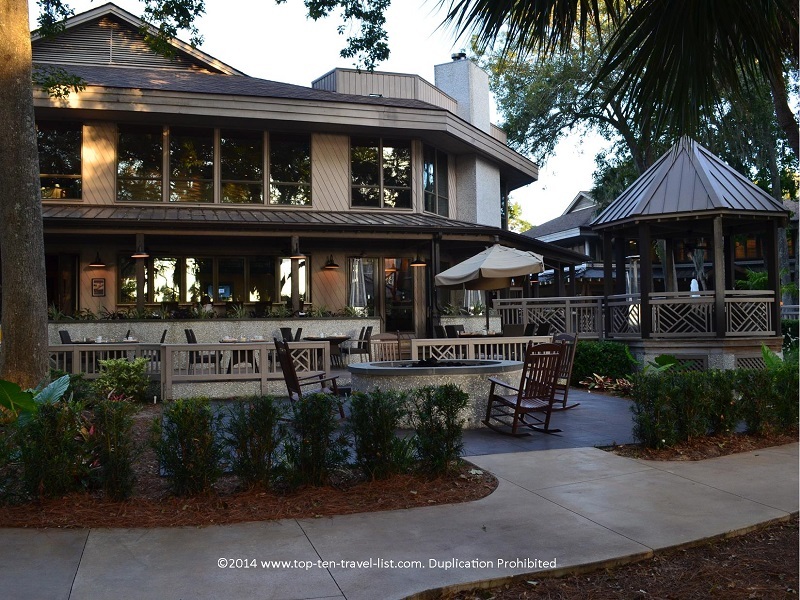 6:00pm – Enjoy dinner at Live Oak Restaurant, located inside Sea Pines Resort. Although a bit of a drive from the resort, the views are outstanding, service is excellent, and the food delicious. Try out the Vegan Tasting Course, a delicious 3 course meal sure to please both vegetarians and carnivores alike! Note: reservations are recommended. 8:00pm – Return to the Omni for another relaxing night listening to the wonderful live music. 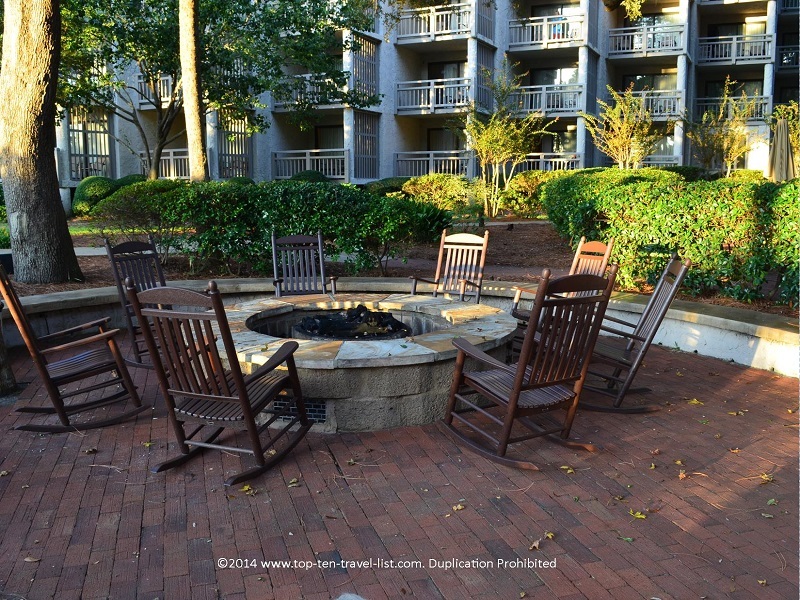 Grab a rocking chair by the fire pit and let all your cares drift away as you enjoy the relaxing Southern setting. 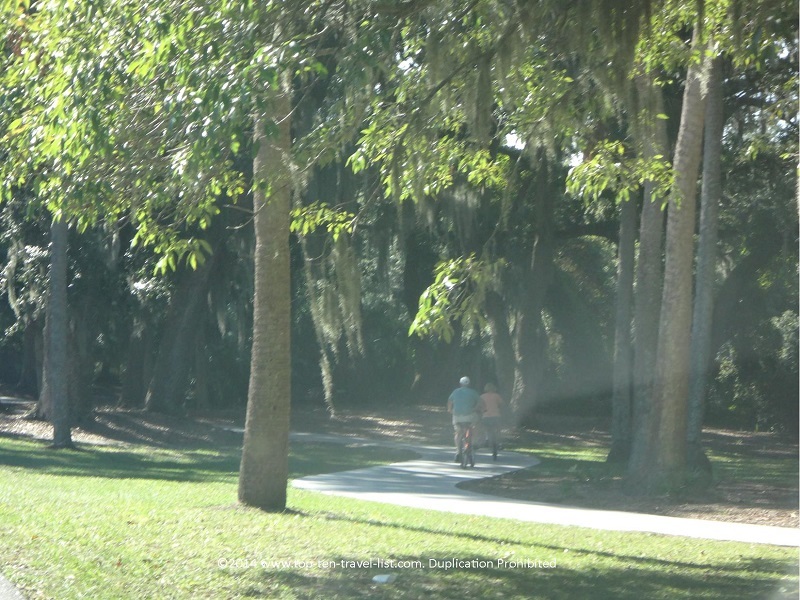 7:00am – Hilton Head is famous for their extensive network of bike trails. You can rent a bike from the resort to use on the island’s extensive network of trails, 5 of which are located directly on the resort. Another option is to take the bike right down to the beach. The hard sand is perfect for riding, plus you can take in the fabulous views along the way! A morning ride brings numerous benefits such as cooler temperatures and few crowds! 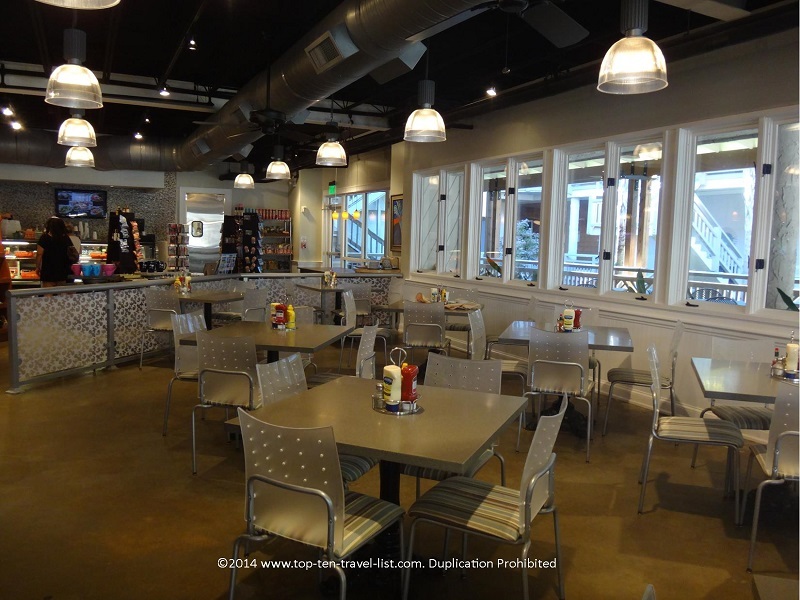 9:00am – Palmetto Cafe, a convenient coffee shop and cafe, offers a selection of pastries, breakfast sandwiches, and fresh brewed Starbucks coffee. 11:00am – Take a day trip to Savannah, located only an hour away from Hilton Head. 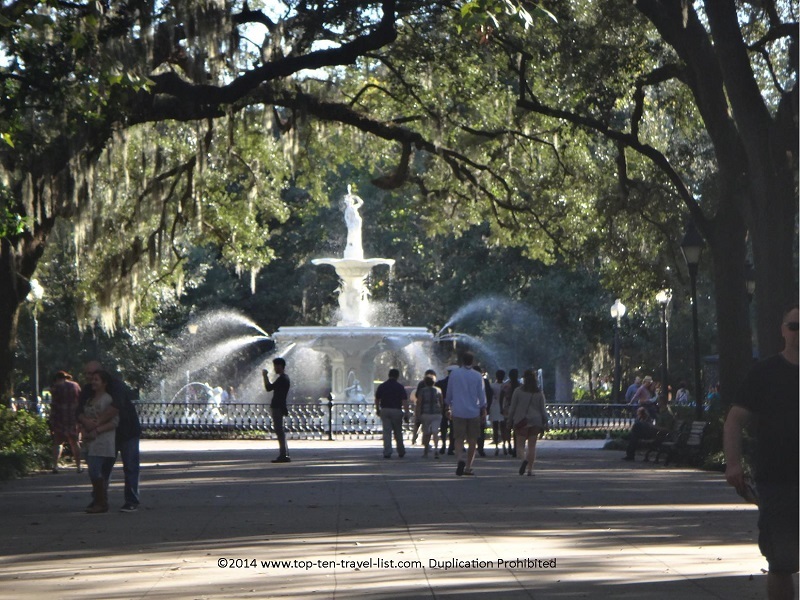 Savannah is a beautiful historic city with gorgeous old architecture, fantastic parks, and numerous tourist attractions. A ride on Old Town Trolley will give you a great overview of the city’s most beautiful and historic landmarks. 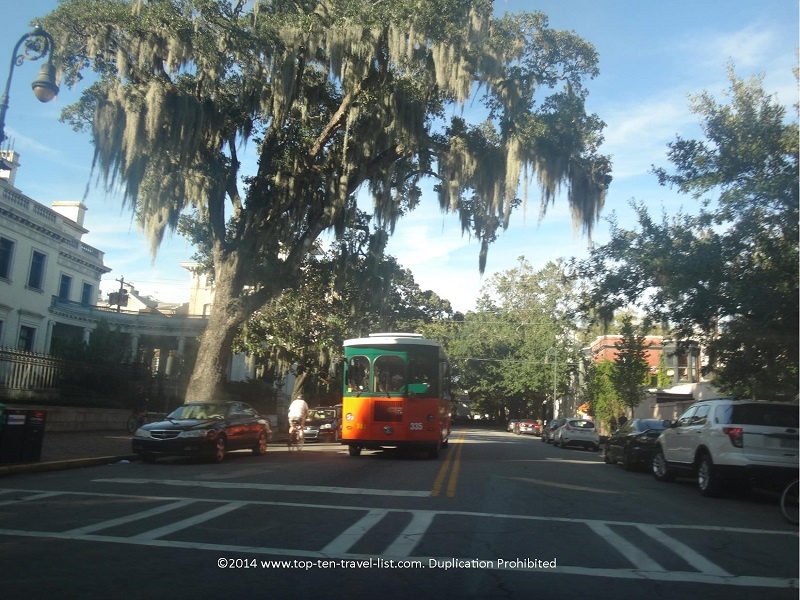 Discount tickets to the trolley and other Savannah attractions can be found on Trusted Tours. Corleone’s is a good choice for a light Italian lunch. I recommend the Mediterranean Pasta. 4:00pm – Make the drive back over to Omni. 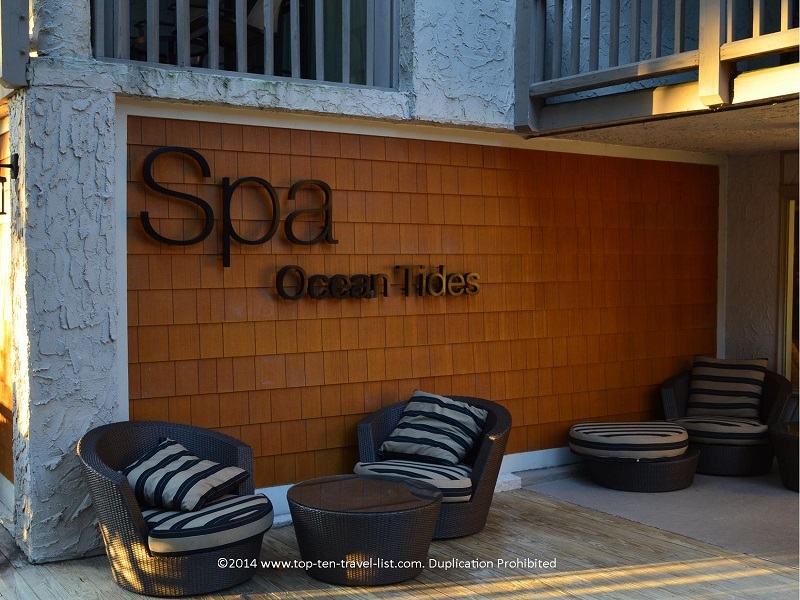 5:00pm – Treat yourself to a spa treatment at Ocean Tides Spa. Nothing says vacation more than a relaxing spa in a great relaxing atmosphere. Note: reservations required. 7:00pm – Spend the rest of the night enjoying all the wonderful activities at the Omni including: a life size chess game, Bean Bags, sand volleyball, basketball, and the resort hot tub. 9:00pm – Pack up your luggage so there is no stress in the morning. 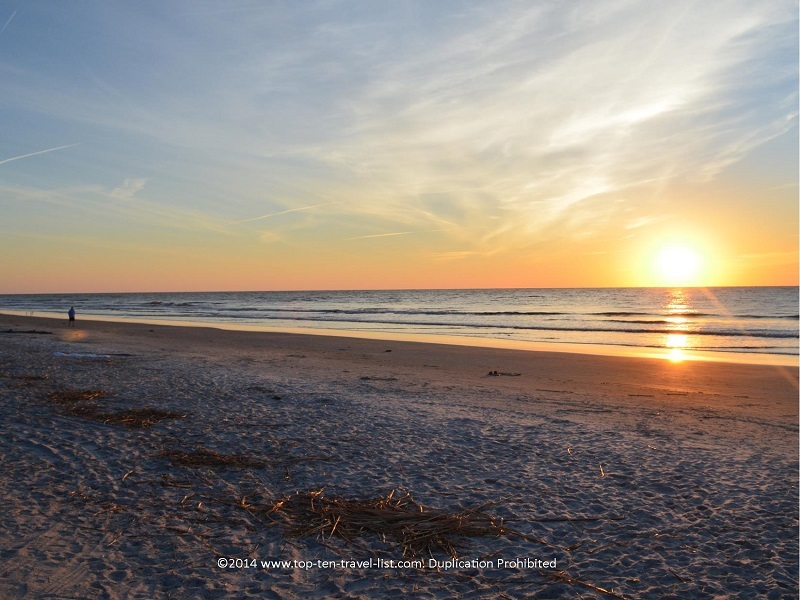 Get everything ready and you can spend your last few hours in Hilton Head enjoying the beach! 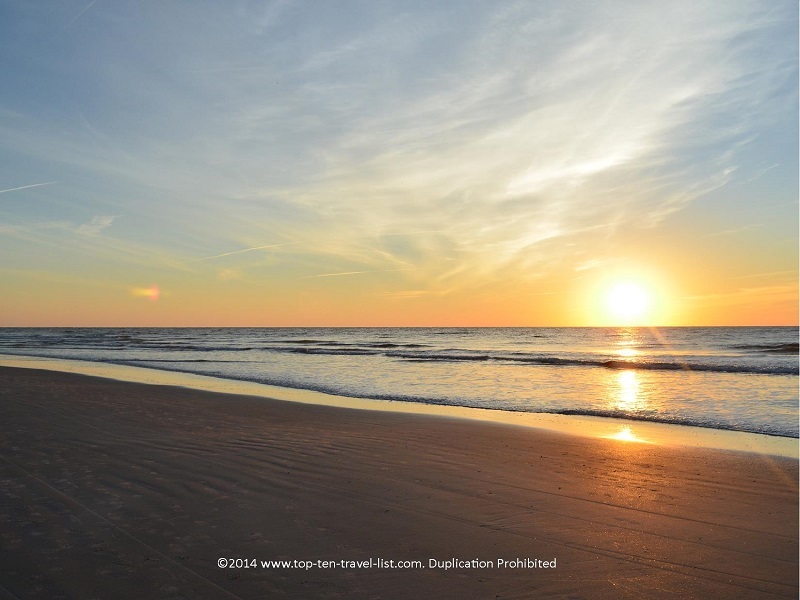 Have you ever visited Hilton Head? What were some of your favorite restaurants and attractions in the area?